Reach an agreement. In order to expedite the legal separation process, spouses should attempt to reach an agreement on all of the major issues a court would rule upon in a divorce proceeding. You should sit down with your spouse and decide who will retain physical custody of any minor children, a visitation schedule and the amount of child support and alimony, if any, to be paid. In addition, you should determine who is going to keep the martial home. Fill out required documents. 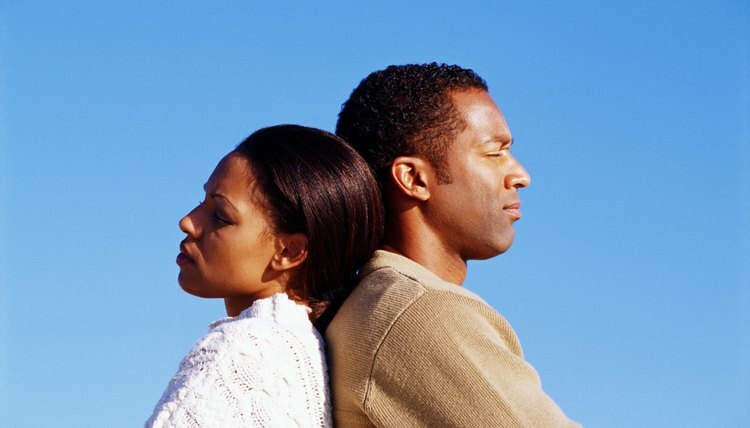 In order to initiate a separation proceeding, you must prepare a petition for legal separation. The petition must state you are seeking a legal separation on one of the following grounds: adultery, spouse is a convicted felon with a death or life sentence, physical or sexual abuse upon spouse and/or children, two years of living apart without reconciliation, or habitual drunkenness. Complete the domestic relations reporting form. If your spouse has not agreed to the separation, you may also need to fill out a summons form to later serve upon your spouse. If you and your spouse have reached an agreement, type it up and make sure to have both of your signatures notarized. File documents. A legal separation must be filed in the county where you currently live with your spouse or in the county where you and your spouse last lived. In addition, you must file the petition, domestic relations form and an executed settlement agreement. There is a filing fee for a legal separation in Arkansas. In the event you have to serve your spouse with the papers, the local sheriff’s office will direct you to people within your county who can serve them. Attend the hearing. You and your spouse will have to participate in a hearing before your legal separation can become complete. If you have agreed on the pertinent details surrounding the legal separation, the judge will ask a few standard questions and then enter an order of separation. If you and your spouse have not reached an agreement, the judge will conduct a hearing and listen to evidence before entering an order.